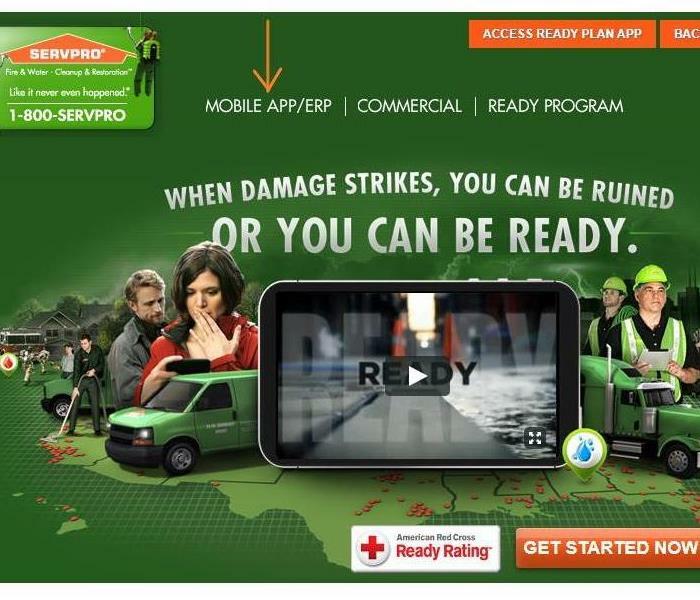 SERVPRO of South Kenosha County is a proven water damage repair and restoration leader in the Southern Kenosha area. We respond to commercial and residential water emergencies around the clock with highly-qualified production managers, crew chiefs, and technicians. Our service vehicle fleet is always ready, each truck or van loaded with high-efficiency water extraction and drying equipment. Our owners, Mike & Kathy Oremus, are passionate about providing our area with industry-leading water loss services. Advance planning is crucial to a business recovering from a water damage emergency. We love educating everyone about our Emergency Ready Program to aid that advanced planning. It is a plan to get your business in order, so when that disaster strikes, we are here you help you. While you’re in a panic trying to figure out what to do, this plan on your phone will assist you so there is no stress. We are proud to be an active member of this community. SERVPRO of South Kenosha County is locally owned and operated, so we’re already nearby and ready to help Kenosha, WI residents and business owners with any size cleaning or restoration emergencies.